SKINCARE REVIEW. 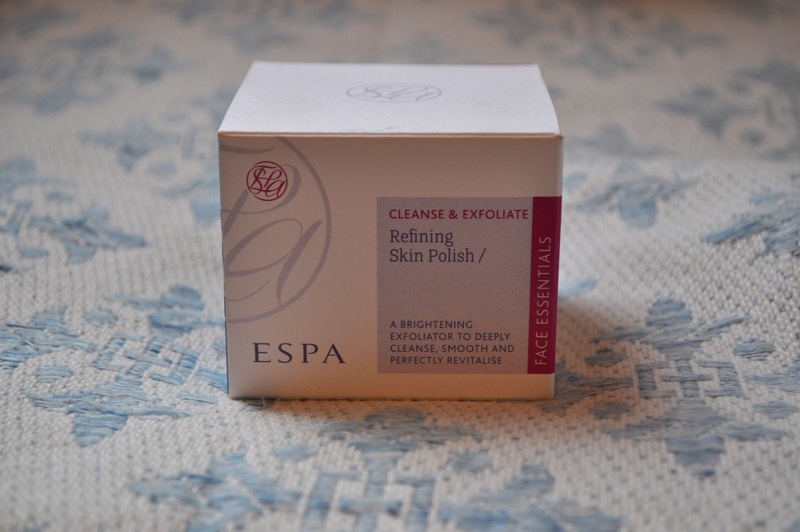 ESPA REFINING SKIN POLISH. | Life Looks Perfect. SKINCARE REVIEW. 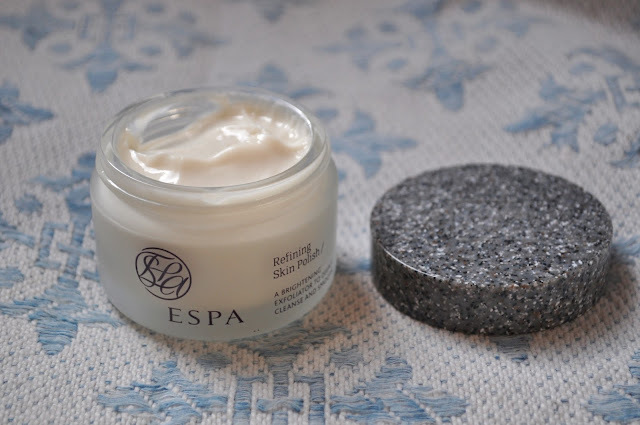 ESPA REFINING SKIN POLISH. When I enter a beauty hall, I am always drawn to certain areas- normally a good old make up counter or sometimes if I am lucky I will spot some beautiful packaging and have to take a look. ESPA certainly caught my eye. Using only the purest extracts and active ingredients in their products, ESPA have a wide variety of products that are used all around the world in their 350 spas for the ultimate spa experience and they are lovely. I couldn't help myself but to try a few of their products and I was immediately hit by their beautiful scent. I am usually quite fond of the usual "spa" scented products but this brand oozes luxury, is packaged beautifully and smells incredible so I had to buy one of their offerings. 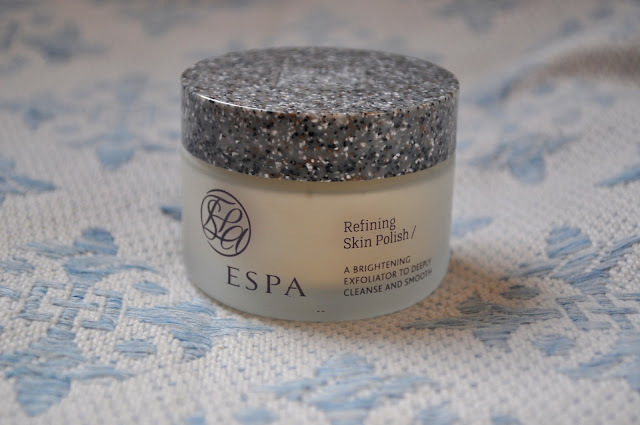 I ended up picking up ESPA Refining/ Skin Polish. The polish is a light and gentle exfoliating cream which feels soft like very fine sand. It has got to be one of the softest exfoliators I have ever used. ESPA skin polish aims to gently exfoliate the skin, cleanse and renew the skins surface. The polish, like most exfoliators helps to remove dry skin and dead skin cells that will help create a smoother complexion. 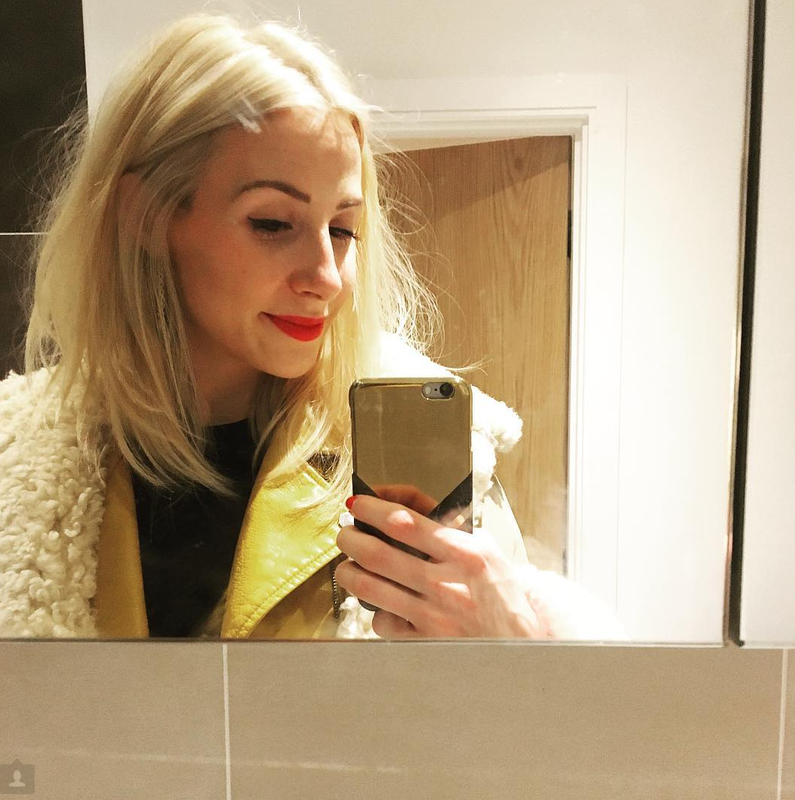 I find that the polish brings a subtle glow to my skin, which is really noticeable after using it once or twice a week as part of my daily skincare routine. I use as much of the scrub as I need and massage it into damp skin in circular movements. I always exfoliate softy as I don't want to make my skin red as sometimes it can be quite sensitive and I have had a few reactions to products before. One of my favourite things about this polish, apart from the softening qualities in ingredients like Damascena Rose and Shea Butter, is the scent. The fragrance of this polish is a subtle floral scent with notes of Rose, Coconut and Rose Geranium Oil, it feels re-freshening and uplifting. I love it!